Neil Marshall’s Hellboy is now unleashing hell into theaters after its opening last week, yet it has picked up a divisive reaction from fans and critics. At the moment, the movie has only 15% Fresh Rating on popular review site Rotten Tomatoes. Moreover, most critics have trashed the movie, with the majority of them being disappointed in the final result of the reboot. 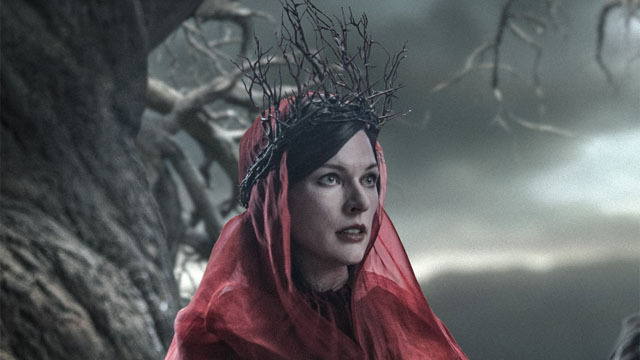 One of the people who disagrees with the critics is Milla Jovovich, who plays the Blood Queen in the R-rated movie. The actress has taken on Instagram to share her long answer to Hellboy‘s haters, ironically noting that almost every popular movie she made had negative reviews. Then, the actress listed three good reasons people should go watch Hellboy. Despite Jovovich’s words, Hellboy is underperforming at the box office and it has made only $15 million domestically. At the moment, the movie landed in third place for its debut, behind Shazam! and Little. You can check out Hellboy in theaters now. Do you agree with Milla Jovovich’s words? Check her full post out here below, then let us know your thoughts in the comments section below.